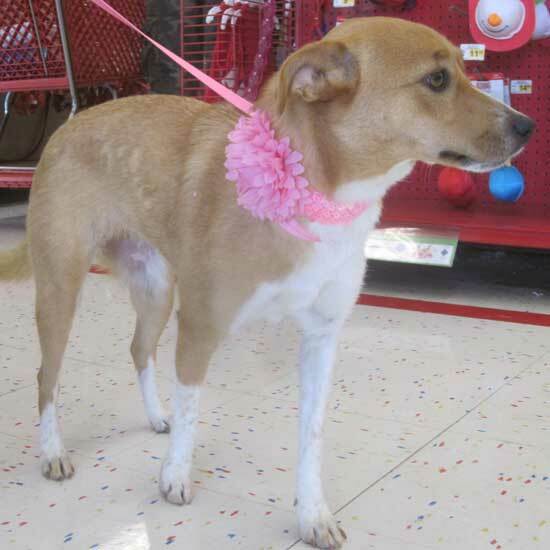 Ricki is a very sweet female, perhaps Collie mix. She is about 25 lbs. and less than a year old. Ricki is a very affectionate and loving little girl. She is good with other dogs and all people. Ricki is on the submissive side, so might take her a minute to trust you. But that side of her doesn’t last long. She was great at her first adoption event and wanted to kiss all the children. Ricki was found out in the country and now lives indoors. She is doing well in the house, no chewing, but you will need to maintain a schedule to assure she is potty trained. Doing extremely well. Ricki is heartworm negative, spayed, chipped and current on vaccinations.